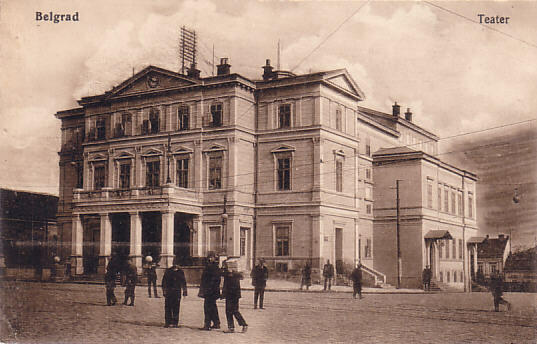 National theatre, built 1869 by Aleksandar Bugarski on the site of the former Turkish Stambol Gate. 993 seats. 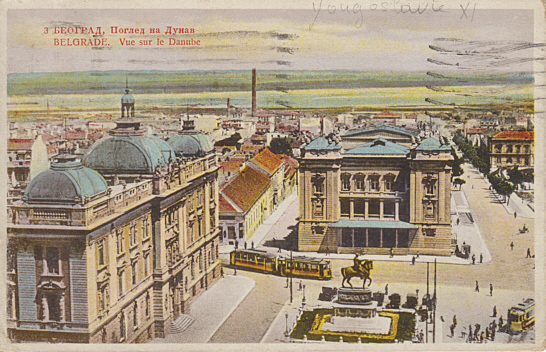 Major rebuilding 1922 by Josip Bukavac. Severely damaged by bombs on 6 Apr 1941. Subsequently repaired. 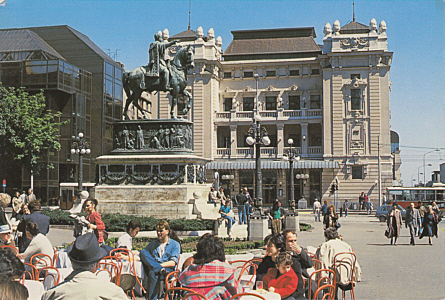 1986-1989 major reconstruction to the 1922 designs. 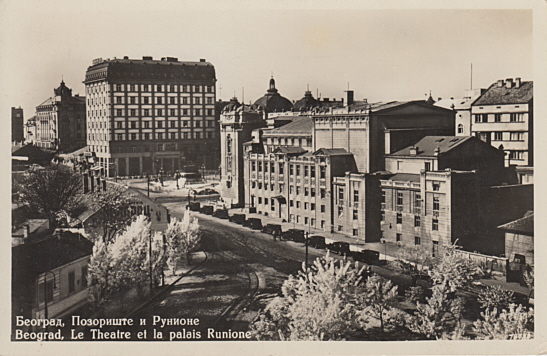 Used for opera, drama, and ballet performances. 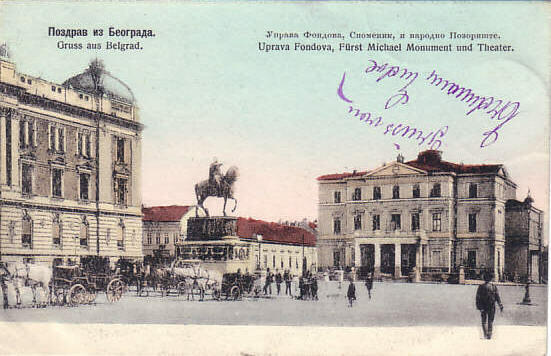 Front Text: "Pozdrav iz Beograda, Uprava Fondova, Spomenik, i narodno pozoriste - Gruss aus Belgrad, Uprava Fondova, Fürst Michael Monument und Theater"
Front Text: "Beograd, Pogled na Dunab, Belgrade. 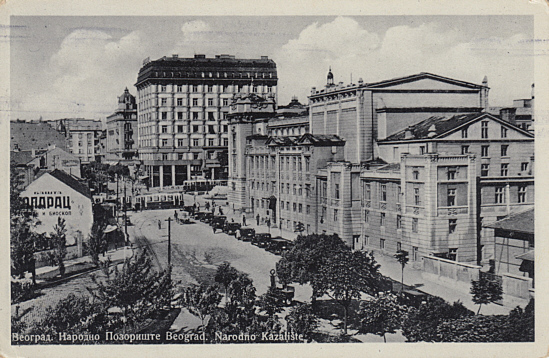 Vue sur le Danube"
Front Text: "Beograd - Narodno pozoriste, Belgrade - Théâtre national"
Front Text: "Beograd - Pozoriste i Runione, Beograd, Le Theatre et la palais Runione"
Front Text: "Beograd, Narodno Pozoriste. Beograd, Narodno Kazaliste"
Reverse Text: "Beograd, Zgrada Narodnog Pozorista. 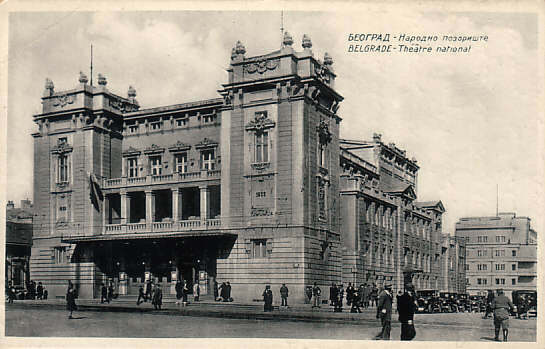 Belgrade, The National Theatre, built in 1869."